Suit up like Spider-Man with the Spider-Man: Homecoming Flip Up Mask. 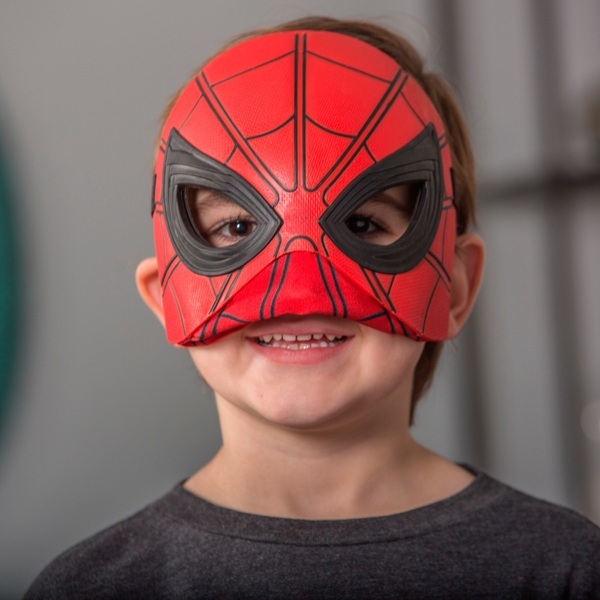 This Spider-Man Flip Up Mask has adjustable fabric to partially reveal the identity of young super heroes! Kids can pretend to be like the web-slinging, wall-crawling Super Hero. The Spider-Man Flip Up Mask includes a flexible band to fit most kids and adults, allowing all heroes-in-training to pretend to be superhuman! Superpowers not included.